Due to the volume of sales and service work, there was no spare room for any more bikes into the showroom. The Company had been looking for another suitable site and in 2009 were able to buy some land just half a mile down the Road. By November 2009 a brand new dealership had been designed and contractors engaged, with funding in place to start digging on January 20th 2010 for a completion date on 4th September 2010. 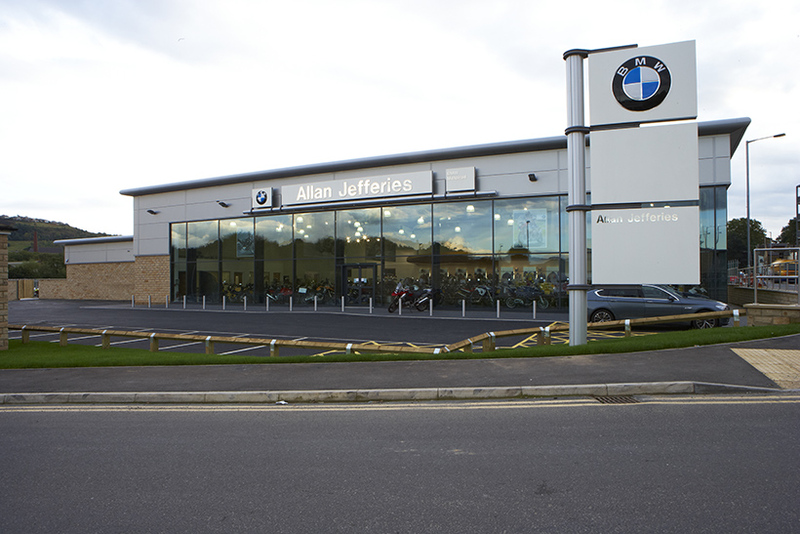 Allan Jefferies wanted to create a dealership that would stand out as one of the best in Europe, with a total area of 14,000 sq ft. 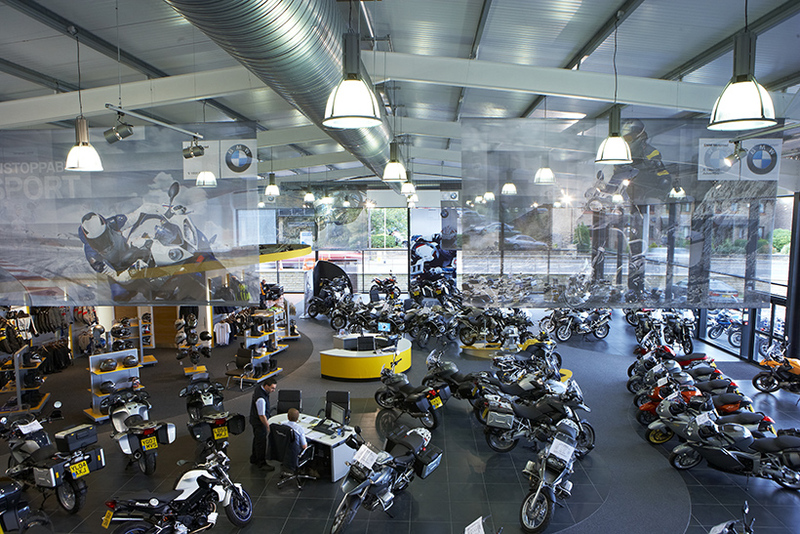 They wanted it to look special and have modern space for showing new and used bikes, clothing and accessories, a well organised spacious parts department, and a service department with space and a clinical look befitting the BMW image. Need less to say BMW Motorrad GB and BMW AG were right behind the new expansion programme. After the initial infill of 60,000 tons had been deposited on the site to give the dealership the right elevation, foundations were in early March, with steelwork erected by the end of March. The build proceeded on schedule and to the credit of Newmason Properties we moved in to start trading on the 4 September 2010. The company has been able to justify the expansion by becoming the number one volume of BMW motorcycles in the UK.